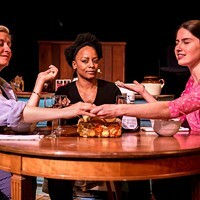 Theater Mini Reviews: A Local Comedy Two-Pack With Richmond Triangle Players and Quill Theatre | Theater | Style Weekly - Richmond, VA local news, arts, and events. Choose between the whirlwind wedding of "It Shoulda Been You" or a Shakespeare season kickoff with "Love’s Labour’s Lost." 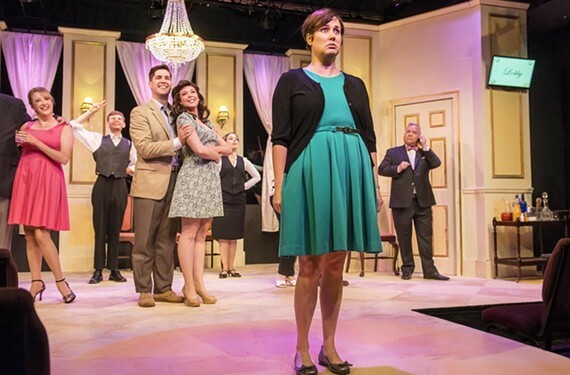 Richmond Triangle Players’ “It Shoulda Been You” is a musical comedy about love, family and acceptance that will, as all the best ones do, have audiences laughing and crying. Walk into the theater and be transported to the lovely Hotel Altamont for the wedding of the year. View photos of the happy couple and their families on the walls. One of the hotel staff will guide you to your seat on either the bride or the groom’s side. Either way, you’ll be right in the middle of the action, and there will be more than a few surprises. Director Jon Kretzu uses the entire theater as his stage in this production, and each role is perfectly cast. Georgia Rogers Farmer is phenomenal as Jenny, the sister of the bride and straight man to the wild antics of her family. With the help of Kirk Morton’s delightful Albert, the seemingly omniscient wedding planner, Jenny must calm the hysterical bride (Grey Garrett) while fending off her lovesick ex-boyfriend (Ian Page) and following her mother’s (Jacqueline O’Connor) every order. John Mincks and Louise Ricks both pull double duty in this production, portraying the helpful and watchful hotel staff and garnering laughs as senile Uncle Morty and the boozy, bawdy Aunt Sheila, respectively. Each cast member gets a moment or two to really shine in this production. Kim Fox’s musical direction carries the show, and Kikau Alvaro’s choreography is whimsical and fun, adding to the humor. Some of the musical numbers were pure comedic gold, including “Love You Till The Day,” Jessi Johnson and Durron Tyre’s hilarious duet as Annie and Greg, co-maid of honor and best man respectively, in tribute to the happy couple, and Susan Sanford’s “Where Did I Go Wrong?” as Georgette Howard, mourning the loss of her son on his wedding day and recounting all of the ways she tried to ensure that she would always remain the only woman in his life. The Bard tells the tale of Ferdinand, king of Navarre, and his three male companions. They decide to swear off women and other distractions for three years so that they can focus on their studies. But almost immediately, the king falls in love with the Princess of France and his friends fall her three attendants. Each of the men begins to pursue his love in secret, letters are delivered incorrectly, identities are confused and Elizabethan hilarity ensues. Staged at the beautiful Agecroft Hall and performed at sunset as the stars and fireflies come out, Quill’s production is charming and light — and a bit romantic as well. 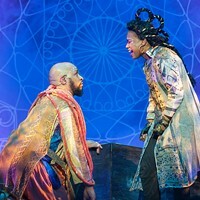 James Ricks’ smart direction is sensitive to Shakespeare’s language and appreciates the play’s literary appeal. Audiences can expect to delight in clever wordplay and Shakespeare’s deft poetic humor as each of the young men attempts to woo their beloved with letters and verse. The ensemble has great onstage chemistry. Standout performances include Alex Johnson as Berowne, the most skeptical of Ferdinand’s men, David Janosik as the lovably dim-witted servant Costard and Luke Schares as the would-be lothario Don Armado. Ellie Duffey, who plays his page, is an extraordinary young talent. This production, though modernized, doesn’t seem to exist in any particular time or era. Characters reluctantly forfeit their cell phones as a part of the pact to avoid distracting frivolities, but they sit back on dated chaise lounges and read newspapers in English prep school jackets. 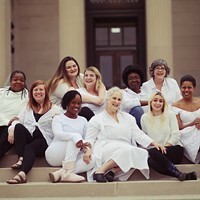 Richmond Triangle Players’ “It Shoulda Been You” runs until July 1 at 1300 Altamont Ave. Tickets cost $10-$35. rtriangle.org. Quill’s “Love’s Labour’s Lost” runs until June 25 at Agecroft Hall. Tickets cost $20-$30. agecrofthall.com.